DR. KATHY KOCH (pronounced “Cook”) is the Founder and President of Celebrate Kids, Inc., a Christian ministry based in Fort Worth, Texas. She is an internationally celebrated speaker and popular radio guest who has influenced thousands of parents, teachers, and children in 30 countries through keynote messages, workshops, seminars, assemblies, and other events. Her practical, relevant, results-oriented concepts and engaging, honoring, and humorous speaking style draw enthusiastic raves from children, teens, parents, and educators. They leave her events armed with new beliefs, attitudes, and practical tools and increased hope in God to build healthy relationships and increase success in family, life, and school. Her newest book, Screens and Teens: Connecting with Our Kids in a Wireless World (Moody Publishing, March 2015) informs parents about the impact of technology on their kid’s lives. With her colleagues, Tina Hollenbeck and Brad Sargent, she wrote Celebrating Children’s 12 Genius Qualities (Celebrate Kids, 2014). Coauthored with Jill Savage, Dr. Koch’s book, No More Perfect Kids: Love Your Kids For Who They Are (Moody Publishing, 2014), helps parents understand why they must get to know their children to parent them wisely. How Am I Smart? A Parent’s Guide to Multiple Intelligences (Moody Publishing, 2007) helps parents understand their children’s learning strengths. Finding Authentic Hope and Wholeness: 5 Questions That Will Change Your Life (Moody Publishing, 2005) provides a solution-focused, enriching approach to real problems. Celebrate Kids, Inc., also publishes many CDs, DVDs, posters, and other products to encourage and equip educators and parents. She earned a Ph.D. in reading and educational psychology from Purdue University, and was a tenured associate professor of education at the University of Wisconsin-Green Bay, a teacher of second graders, a middle school coach, and a school board member for a Christian school prior to becoming a full-time conference and keynote speaker in 1991. Guests Kathy Koch, Brian Housman, and Jonathan McKee offer tips and strategies to parents raising kids in a screen-filled digital world. Is technology use fostering a sense of entitlement and discontent in our teens? Youth expert Dr. Kathy Koch explains that our youth are wired to expect choices, so decision making is harder. 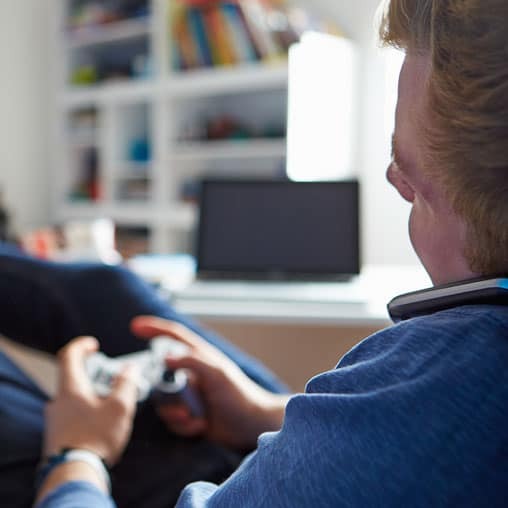 Dr. Kathy Koch, author of “Screens and Teens” talks about the emotional needs of teens, and explains how technology is affecting and fulfilling those needs. How is screen time affecting your kids? Youth expert Dr. Kathy Koch examines how technology is shaping the way our kids think. Dr. Koch encourages parents to monitor their children’s technology use.